Enhance the appearance of your home with our beautiful and secure aluminium residential doors. Our great looking aluminium front and back doors will bring further security, energy efficiency and style to your property. Offer your customers exactly what they’re looking for with one of the UK’s most extensive ranges of aluminium residential doors from Sternfenster. Source your aluminium doors from us and benefit from great trade prices, expert technical advice and installation support whenever you need it. Create a bespoke design of your choice from our impressive selection of front and back door designs. Our high quality range of aluminium residential doors are available in a wide variety of powder coated colours and finishes to match any property. We also have a wide range of traditional and contemporary door styles to choose from so you won’t be stuck for choice. Our uPVC residential doors are highly versatile when it comes to design and come in a comprehensive range of glass styles, colours and finishes. For a strong and long lasting residential door choose aluminium. Our aluminium residential doors are virtually indestructible whilst still maintaining slim sight lines for a sleek, modern look. 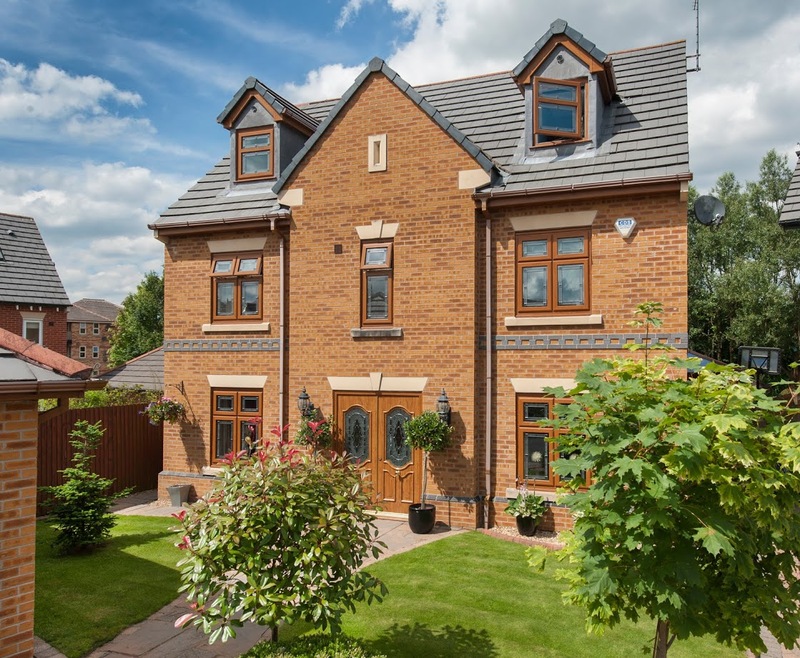 Naturally strong, aluminium frames will keep you home very secure. Without the use of specialist emergency services tools, our aluminium residential doors are almost impossible to breakdown. All doors are supplied with high security locks as standard with additional security uprades available for those that are particularly security conscious. Aluminium is incredibly hard to break and is resistant to impact and temperature fluctuations which cause warp. This is why aluminium thresholds are the perfect choice for a home which requires regular wheelchair access. Our aluminium residential doors are completely weather resistant and are built with a polyamide thermal barrier to prevent heat loss. Their superior thermal efficiency will help to keep your energy bills low whilst providing a comfortable home all year round. We manufacture slim and attractive aluminium residential doors using the Alitherm Plus profile from Smart. Great looks combined with an impressive high thermal performance means our aluminium trade doors are extremely appealing to home owners. The Alitherm Plus profile is also suitable for light commercial applications. Our aluminium residential doors combine attractive designs with high security features for a stylish yet secure and practical entrance. 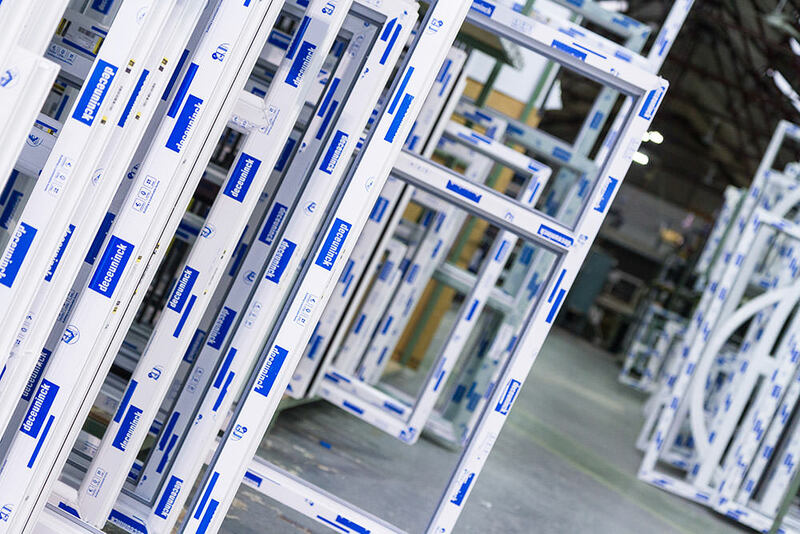 Our trade aluminium residential doors are tested to the most rigorous of standards. They are completely weather resistant and use a polyamide thermal barrier to prevent heat loss. Designed for an easy fit, our aluminium doors feature adjustable hinges and lock keeps which allow for simpler installation and on-site fitting flexibility. The Alitherm Plus aluminium profile we utilise for our aluminium residential doors combines an innovative design with premium grade aluminium to create a door that excels across the board. Our aluminium residential doors offer impressive performance for weather resistance, energy efficiency and security. The door sections and hinges are reinforced for added strength, with adjustable hinges and locks to achieve the perfect fit. These premium aluminium doors come fitted with multi-point locking mechanisms and internal beading for an enhanced level of protection against potential intruders. These excellent aluminium doors provide outstanding energy efficiency and weather resistance, with an ingenious Z/T design that ensures high performance against the elements. Low thresholds are available to provide easy accessibility for wheelchairs which are in full compliance with Document M building legislation. These stunning aluminium doors are available in a wide range of colour options and create a sleek, modern appearance with a square edged aesthetic. Door sections and hinges are reinforced with added strength for higher performance. Low thresholds that are in full compliance with Document M building legislation. Internally beaded for open in and open out doors, increasing home security. Multi-point locking mechanisms for both single and double doors. Z/T sash sections to ensure a higher degree of weather resistance. Adjustable hinges and locks for a perfect fit. Our residential doors can also be fitted with fire escape panic bar gearing which is available with outside access. This is a great feature that can enhance the safety of your home. Our residential doors can also be fitted with fire escape panic bar gearing which is available with outside access. This allows your customers to enjoy enhanced home safety. Our Smart aluminium residential doors are available in a comprehensive range of colours from our RAL colour range. For the shortest lead times, we provide a standard KL range of colours as well as the exclusive Sensation range with textured finishes. We can also provide a choice of wood finishes as well as dual colour options which feature different colours on the inside and outside of the frame. Contact us today for a free, no obligation residential door quote. At Sternfenster we promise quality and affordability, helping you to secure beautiful and long lasting doors for your home. Contact us today for trade aluminium door prices. We have many years supplying high quality doors to the trade, get in touch for competitive quotes for aluminium residential doors.